What’s your most memorable Easter tradition? For me, it was springtime bonnets, white patent leather shoes, the end of Lent and Easter Sunday Mass. Growing up in the northeast, it wasn’t uncommon that Easter Sunday was accompanied by snow…didn’t matter though; we still wore our springtime attire. It was Easter after all and that signified out with the winter and in with the spring season. As parents, you easily become a kid all over again as you watch the excitement and curiosity in your child’s expressions as they partake in what may very well turn out to be holiday traditions. 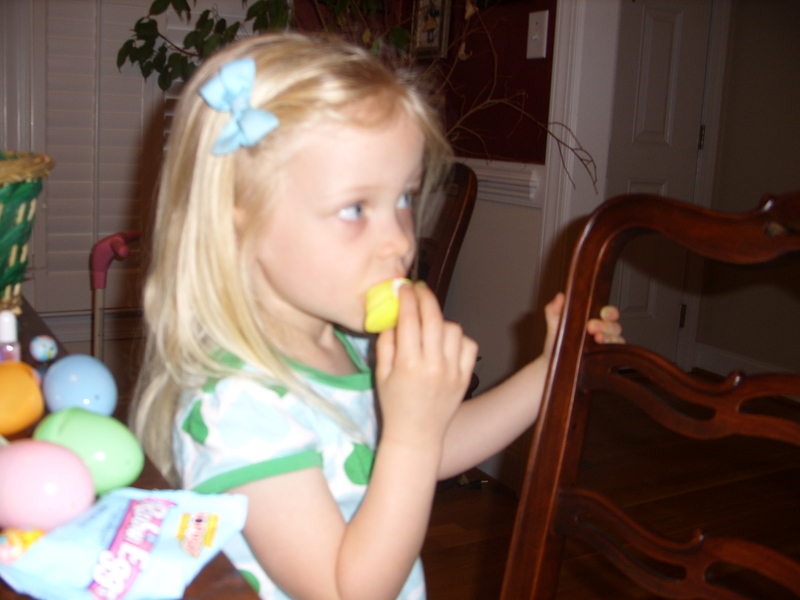 For Clare, this year was her first Easter at home that she will probably remember. It started out with decorating eggs and leaving carrots for the Easter Bunny to snack on while he dropped (or should I say, hopped) by during the night. 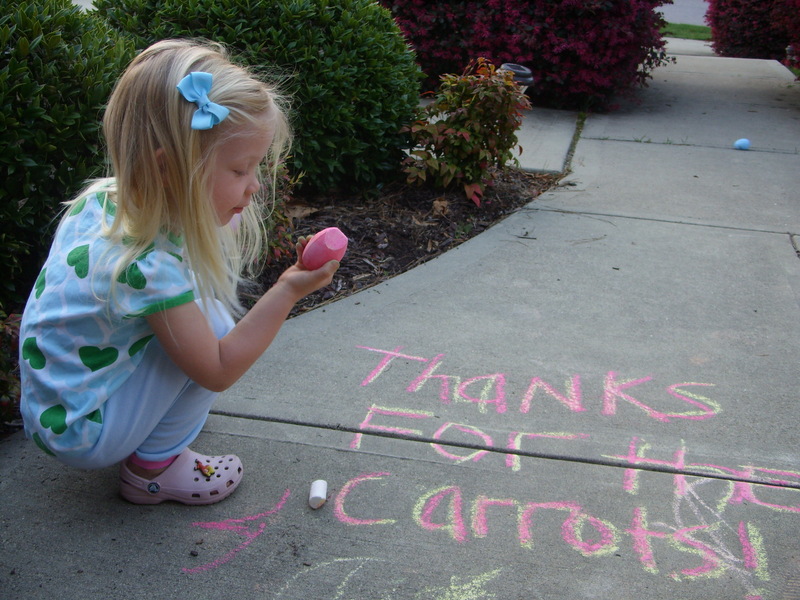 A bit of anxiety hit the next morning when she peeked outside (“Daddy, hold me’) to see if the Easter Bunny had eaten her carrots…I think she was nervous the Easter Bunny would be on her doorstep. 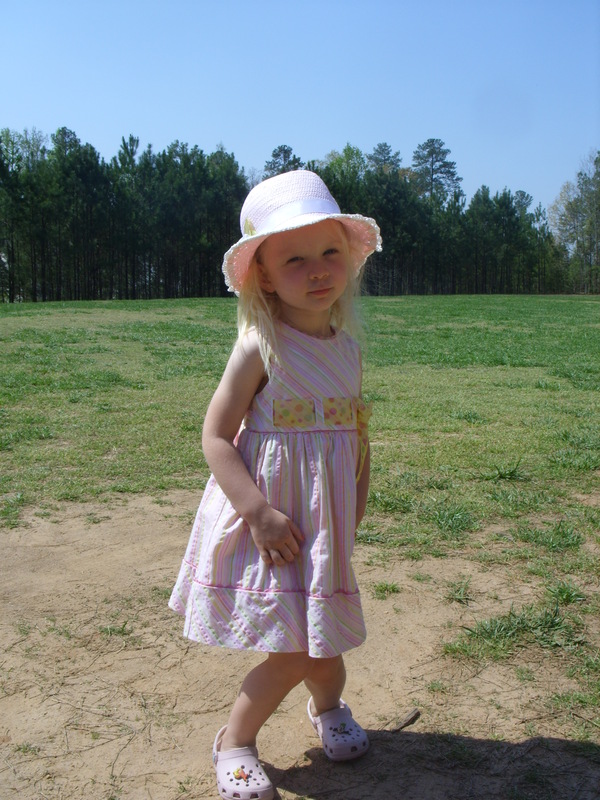 😉 She wore her Easter bonnet with her dress and crocs (she is quite particular about her shoes) to church. "This chalk looks like an Easter Egg!" "There's something in these Eggs, Mommy"
I know what will not become a holiday tradition in our house…roasted asparagus with the ham dinner. Although it’s a favorite of mine, I discovered that’s not the case for Robert and Clare as I was the only one eating it. That’s okay, they enjoyed the Peeps all to themselves as that is clearly a favorite of theirs (and a definite tradition for us at Easter time)! 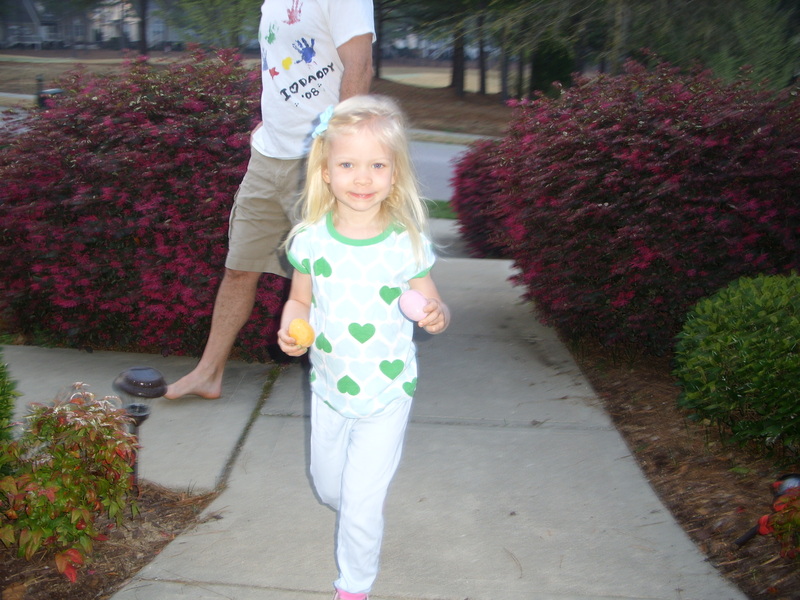 Clare and her Daddy LOVE some Peeps!